While our oldest, loves many activities, her favorite hands down is basketball. So we ran with it. We let her go to all the camps, and we get her in all the rec and travel teams possible, and she loves it! The one activity that we do push her at though, is piano. She doesn't love it. Well, let's be honest here, she pretty much hates having to practice, and it's usually like pulling teeth to get her to do so. That being said, you can see that she loves to show off her skills when family or friends come over. She knows she's getting better, and the songs are getting more and more technical. She's been doing piano for about 3 years now, all with the same instructor. Last year, she wanted to enter into her school's first ever talent show. She picked her piece, and practiced and practice and practiced (with us there pushing her to do it). The day came, she played her piece almost perfect and she was proud of herself. She didn't place and get a ribbon though. Fast forward to this year, she wanted to be in the talent show again, but she didn't really want to do the piano. After some discussion with us explaining to her that she has some real talent when it comes to the piano, and "No, you really can't do basketball at the talent show", she finally agreed. We picked out a couple of pieces from her piano book, talked to her instructor about it and she was off. She had about 2.5 months to prep, so we knew there was plenty of time for her to learn these songs. She picked: "Night of the Tarentella" and "Amazing Grace"
After lots of practice, and extra lessons in between, the day finally came for her to perform. I was surprised how calm she actually was. She wasn't nervous, and all our talks about "just breath" and "just pretend your at home", really weren't needed. It was her turn, and I was a nervous wreck for her. I've done piano recitals myself, and I know that even the slightest bit of nerves can speed you up and basically mess up the whole arrangement. Not her though, she was as cool as a cucumber. She looked over at us a couple times, I gave her the thumbs up sign, she smiled and went back to looking at her music. And she didn't mess up once! It was beautiful, and I was so proud of her. I'm becoming such a sap now that I'm a mom. I was holding back tears because of how proud I was of her. We still had to wait for her age group to be finished (Kinder-second), but she knew she did awesome, we knew she did awesome, and so did the judges. When it was time to announce the winners, she was standing up with the other contestants, eager to hear the results. Then she heard it..." In second place......Ashley ******!!!!!! She had the biggest smile on her face and so did her Dad and I. She was so happy, and I loved seeing that. Congrats to her! I played sports my whole like and would spend hours out shooting baskets and practicing serving my volleyball against the garage. Learning that it takes hard work to go after her dreams at a young age is going to help her in the long run! So GREAT JOB PARENTS!! Yep! We're both so excited that she's learning these skills at a young age, and excited to see where she'll be in 10 years! Congratulations to your daughter. It is a good thing that she has you to encourage her. I personally do not like sports so I am imagining what kind of support I am going to give my kids if they decide to take up on some sport. We figure we'll just try to learn whatever they are interested in so we can help them the best we can. Both my husband and I do not fully know all the rules of volleyball, but she loves it so we started learning so we can talk with her and encourage her in her sport. Exactly. She wants to quit piano sometimes but we just keep pushing her and telling her how proud we are of her. She does enjoy getting better, but she hates the in between parts! Congratulations! I remember how I used to love doing things like this when I was younger-except with the guitar. We just love being able to put her into all these things so she can fully decide what she loves. Congrats to your daughter! My son is in his 2nd year violin and we're getting him ready for his 1st exam in Jan. Agreed that practice is key. My husband so wants one of our children to do the violin as well. I have my grandfather's piano, so I'm partial to that! "Repetition is the mother of all learning" is a latin proverb my mom used to repeat to us all the time. Great job! Exactly! I'll have to use this one with her. This sounds magical. I'd be crying like a baby watching my son flourish on stage like that. I was definitely choking back tears!!! Same here, I loved playing, because I wanted to play as well as my Grandfather who composed his own songs. I was not a fan of the practice part though! I agree! It's expanding her knowledge in a variety of areas. Same here, 6 feet and so I ended up playing ball. I played the piano hoping to be as good as my Grandfather, but I didn't even come close to how amazing he was. I will tell her that. Thank you! What a proud moment for all of you! Congrats! I have a question for you - at what age did you start your kids in various extracurricular activities? I want to expose our kids to a multitude of options as well but I struggle with how to do that without over-scheduling (I have 3 kids). Thanks! Well for my oldest (almost 9), we started her in gymnastics at 3, then competitive cheer and piano at 5, softball at 6, and then she started basketball at 7 and volleyball at 8. My second child (almost 5) started gymnastics at 3 and ballet at 4! We plan on putting our son in gymastics when he turns 3 as well. WOW! Second place is awesome!! I hope she is super proud of herself and now can feel that she is talented with the piano. It is great that she is good at both basketball and piano. Congrats to her! She is very proud of herself. Thank you! Wow--second place is so amazing! I'm impressed she was so calm throughout; I guess that is the benefit of working hard and consistently practicing! I was too! I still get nervous in front of people, for whatever reason it is! My husband and I discuss how we will raise our future children a lot. I am scared I am going to be a terrible mother, but I know for a fact that I am going to be a realistic mother who is down to earth and supportive of whatever my children decide to do! As long as you love your children you'll do the best you can for them. Don't worry so much about it. It's surprising how quickly it comes to you! Huge congrats! 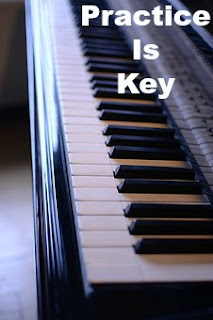 My boys play piano, as well, and getting them to practice was always difficult until they realized how much pride they had in themselves during a recital, in front of family or when they performed something for a class. There is so much to gain from learning how to play piano (or any instrument) and I hope she continues to enjoy practicing and entertaining others with her talent. Thank you. How old are your boys? I hope my son (only 2 now) will also get into a musical instrument! So great - congrats to her! Piano teaches so many wonderful things. I'm glad she did so well! I agree! I still believe that the reason I was so good at math in school was because I took piano lessons for 7 years! It's such a good lesson for her to learn! Thank you.